When I placed this book on the list, I thought long and hard about which cover I would include for the post considering there are so many of them out there. 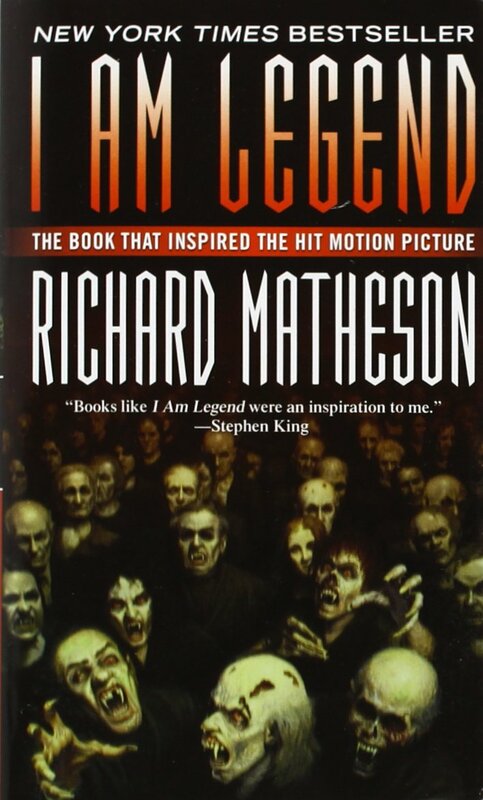 The one I chose was the one that spoke to me the most when it said, “The book that inspired the hit motion picture.” Don’t get me wrong, I really enjoyed the movie, but there is not a lot of similarities between that story and the one that Richard Matheson wrote. Yes, there is a character Robert Neville in both and he thinks he is the last person left on earth. A dog dies tragically in both stories as well. Beyond that, there is no other real connection. Robert, in the book, is plagued with vampires that hang outside of his house and taunt him, and the twist at the end of the story really sends your mind racing. The whole meaning of the title changes because of this twist, and it makes for a more profound story. If you have enjoyed the movie, you still need to pick up this short read because it is really different than the original. If you haven’t seen the movie yet, watch that first before reading the book because it will only anger you with how much they changed the story to meet their needs. Either way, you will come away thinking that I Am Legend is one of the best horror novels ever written.